hether you're looking for Hampton University NCAA action, or organizing a little intramural action of your own, Pirate Pride is always the name of the game. 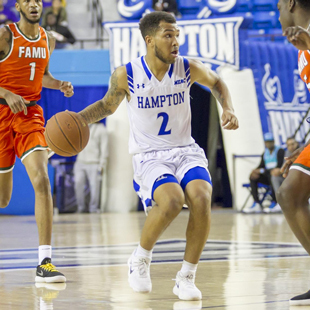 Cheer on the NCAA Division I Hampton University Pirates as they take on teams from across the country in basketball, football, tennis, track & field, golf, softball, volleyball, lacrosse, soccer, and sailing. Season passes get you in for all the action at our own Armstrong Stadium and HU Convocation Center. If you're looking to get your game on, join an intramural team for anything from basketball to table tennis to dodgeball. Yes, dodgeball.